This is the announcement regarding the final installment from the James Martin Center for Nonproliferation Studies (CNS) addressing the technologies and tools used to detect and evaluate uranium production, which is "the secretive first step toward a nuclear fuel cycle capability." The James Martin Center for Nonproliferation Studies (CNS) released the final installment in its four-part series that offers new details behind the technologies and tools our analysts use to detect and evaluate uranium production, the secretive first step toward a nuclear fuel cycle capability. 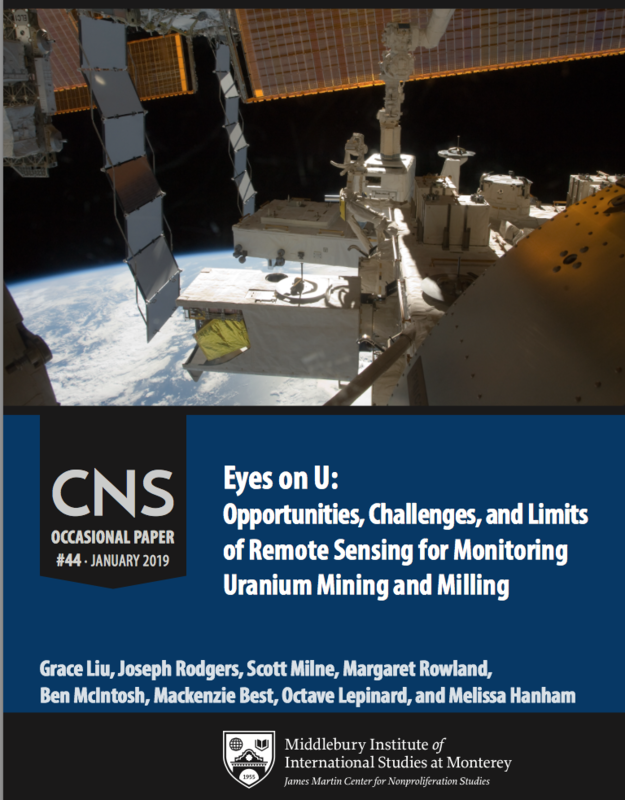 CNS Occasional Paper #44 explores different remote-sensing techniques and their various advantages, including traditional optical imagery, multispectral and hyperspectral images, and thermal and near-infrared images. It also discusses machine-learning algorithms as another tool for analysts examining large quantities of geospatial information in a relatively short amount of time. Understanding the opportunities and limits of these new technologies can help pierce the veil of state secrecy surrounding uranium production. The previous reports in this series focused on the revelations and insights gleaned into uranium production in North Korea and China (Occasional Paper #40) and India and Pakistan (Occasional Paper #41). Occasional Paper #34 gave a broad treatment of geospatial technology and open-source methods for verifying or estimating uranium production.